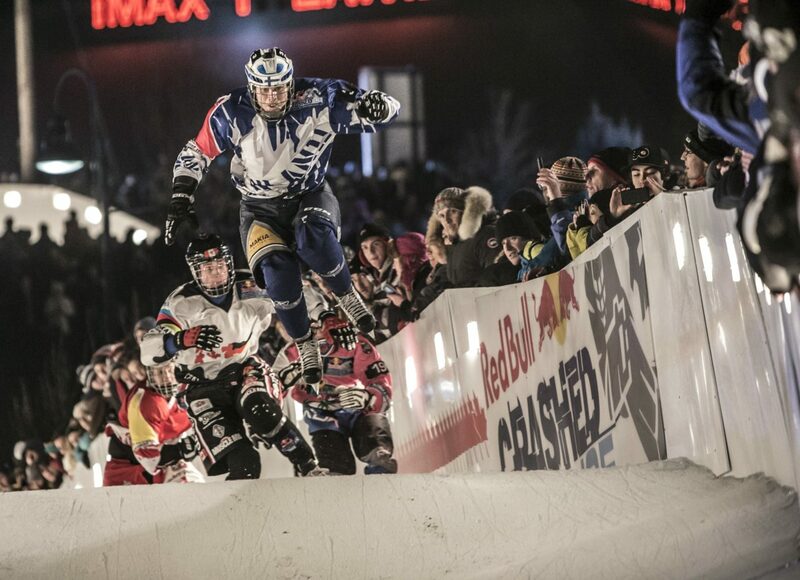 Red Bull will be de-constructing the track which was recently used during Red Bull Crashed Ice. We apologize in advance for any inconveniences. Full Closure, Grierson Hill Lot, March 15. Full Closure, Grierson Hill Road, March 16, 9 a.m. – 3 p.m.
Full Closure, Grierson Hill Road, March 17, 8 a.m. – 6 p.m.
Full Closure, Grierson Hill Road, March 18, 8 a.m. – 6 p.m.
Full Closure, 101 Avenue, between 96 Street and Jasper Avenue, until March 19 at 12 p.m.
Park and trail access will be temporarily restricted or detoured during track construction. Please obey posted signs. Additional impacts, including road closures, parking restrictions and transit detours, will be shared closer to the event.